Thomas Fougeirol creates dramatic peaks, craters, ridges, ripples, and waves of paint with energetic wipes, splatters, peels, blasts, pours, slaps, and sprays. But despite his paintings’ decidedly geological characteristics, Fougeirol is not a landscape painter in the traditional sense. 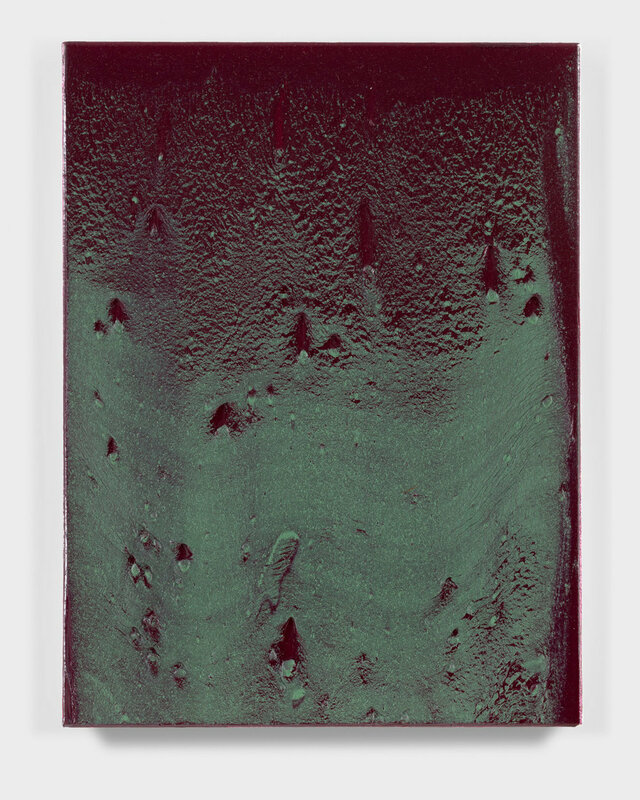 His works, to the contrary, are very much about their own materiality—one might call them landscaped paint. 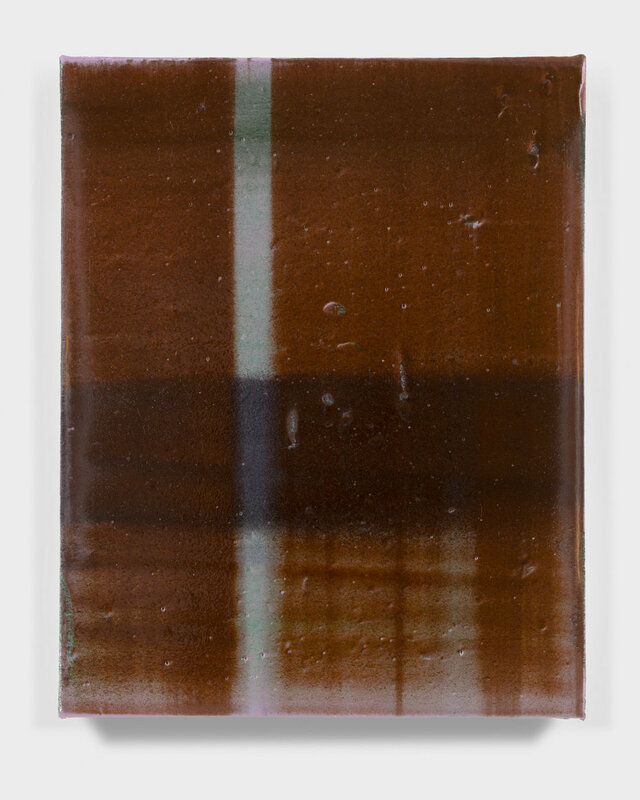 For his first Los Angeles exhibition, Fougeirol presents recent works from several on-going series that show off startlingly diverse material properties of oil paint. 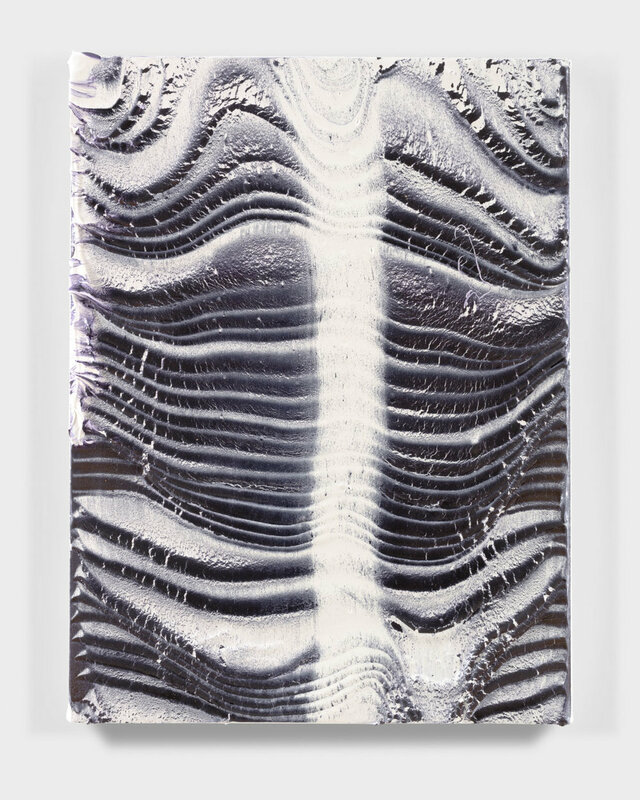 Capturing the brief period when paint exists in liquid form—after pigment has been mixed with oil and varnish, but before the solution has adhered to the canvas—the “Robe Du Soir”,2018 paintings range from all-over compositions of washy and bubbly overlapping jewel tones to thick ripples of black, white, and gray paint that suggest oozing lava. Fougeirol’s dusted paintings, on the other hand, are finished off with a spray of dry pigment powder. This technique creates soft contours around mounds of impasto, making the hardened paint appear like miniature (and fantastically colorful) snow-capped mountains. 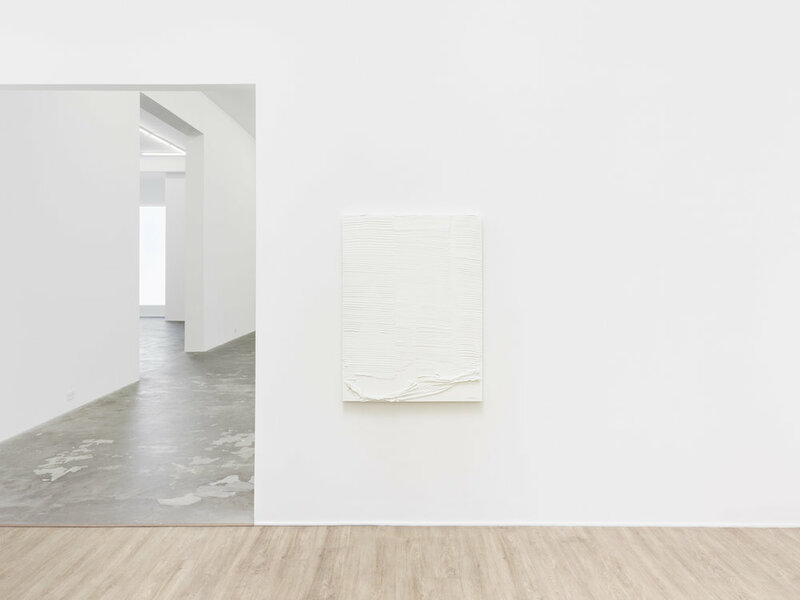 Sometimes the geography Fougeirol evokes is more personal, as in the “Dust” series wherein the artist blasts dirt from his studio vacuum cleaner across canvases coated with thick lightly tinted white paint. In addition to dirt, other detritus like staples, tape, broken glass and tacks become embedded in these tenacious surfaces. Describing the setting in which they were made, these paintings provide an intimate—and almost archeological—perspective of the artist’s studio practice. Eschewing traditional painters tools and using paint to build (rather than depict) various topographies, Fougeirol proposes a new way to appreciate the environment through paint.